Sennheiser Momentum on-ear headphones get winter colours | What Hi-Fi? Sennheiser has unveiled three new colours for the Momentum on-ear headphones at IFA 2013. 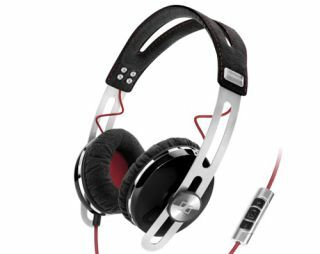 The portable Momentum on-ear headphones are now available in 'high-gloss black, classic brown, and intense red'. That makes seven finishes in total, joining the original 'summer' colours of pink, blue, green and cream when the Momentum On-Ear headphones launched earlier this year. It's an attractive line-up, with Sennheiser working closely with colour trend experts and consultants from the fashion industry to pick which colours will be 'on trend' for each season. The muted winter collection, particularly the brown finish, aims to invoke the minimal aesthetics of the original Sennheiser Momentum heaphones, of which we're quite big fans. These new colours will be the same price of £170.